The Ford Motor Company ($F) challenged my resolution on Transparent Political Spending and lost. I created a new posting category, “SEC no-action letters.” Posts under this category will include what I believe are precedent setting decisions. By including them on CorpGov.net I will be creating a searchable database going forward of significant decisions for ready future reference. Hopefully, it will reduce the need to recreate the wheel and will save on time defending similar proposals. Read the full no-action file at the SEC. Monetary and non-monetary contributions and expenditures (direct and indirect) used in the manner described in section 1 above, including: (a) The identity of the recipient as well as the amount paid to each; and (b) The title(s) of the person(s) in the Company responsible for decision-making. The report shall be presented to the board of directors or relevant board committee and posted on the Company’s website within 12 months from the date of the annual meeting. This resolution does not encompass lobbying. Ford requested a no-action based on Rule 14a-8(i)(11), substantial duplication. They argued my proposal duplicated one from the Unitarian Universalist Association (UUA) that seeks transparency on lobbying expenditures. At the heart of Ford’s argument is an effort on page 6 to redefine the word referendum to include legislation. The UUA Proposal makes no mention of political contributions or anything that could be confused with political contributions. Ford attempts to confuse the process of promulgating legislation, which can be influenced by lobbying, with referenda submitted to popular vote during elections. The McRitchie Proposal seeks no information with respect to spending during the legislative process itself, even if that legislation might result in a referendum. Only once such legislation is passed would it then be covered by the Transparent Political Spending proposal with disclosure of policies and procedures, contributions and expenditures with respect to an election or referendum. My rebuttal also includes an excerpt from The Exclusion of Duplicative Proposals Under Rule 14a-8(i)(11) by Hillary Sullivan. The “substantially duplicates” exemption has already evolved through Staff interpretation well beyond its original intent without benefit of going through public notice and other considerations of the rulemaking process. Staff should take a lesson from the recent reexamination of Rule 14a-8(i)(9), which resulted in issuing Staff Legal Bulletin No. 14H. If we applied that standard to Rule 14a-8(i)(11) and these proposals, shareholders could logically vote for both proposals. While issuing a Staff Legal Bulletin to guide a similar return to original intent for Rule 14a-8(i)(11) is unnecessary in the instance of Ford’s no-action request, since the Company fails to make its case, it is worth noting the parallels. The Rule was originally intended to exclude duplicate proposals, not materially different proposals, which may address overlapping concerns. The February 6, 2018, decision was typically terse. The Proposal requests that the company provide a report on political contributions and expenditures that contains information specified in the Proposal. We are unable to concur in your view that the Company may exclude the Proposal under rule 14a-8(i)(11). In our view, the Proposal does not substantially duplicate the proposal submitted by the Unitarian Universalist Association. Accordingly, we do not believe that the Company may omit the Proposal from its proxy materials in reliance on rule 14a-8(i)(11). Congratulations Jim and thank you for all your work on this important accountability issue! 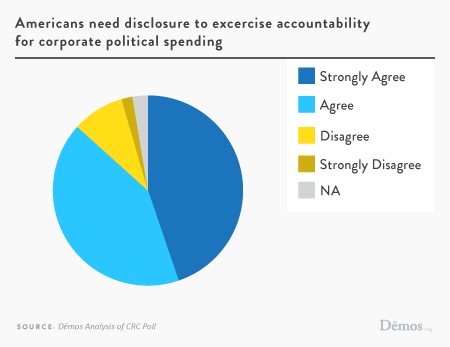 Corporate political spending seriously undermines American democracy. If the Supreme Court won’t help us control it, we shareowners need to organize and oppose it, since it often seems counter to our interests as investors and as citizens. Kudos to the SEC for recognizing our right to at least see how our funds are being deployed in politics. Thanks for the comment Mark. Sorry to be a while approving your comment. I have my site set up so I can only post and approve comments from one IP address (home). Keeps down the spam but if I am away, it takes far too long to get posted. Let’s hope we get the votes needed at Ford’s annual meeting to pass this needed disclosure. Thanks again. See some of Mark’s work on corporate governance at Votermedia.org.